With countless options and a wealth of unfamiliar terminology, it's no wonder that getting started in vaping is harder than it used to be 10 years ago. Like any other new technology, as the science and manufacturing improves, so do vapes. Just look at our mobile phones as an example, the devices we were using 10 years ago are crude by today's standards. So how are you supposed to find the best vape? Well my first recommendation is to go to your local reputable vape shop. If you don't have one near you, give them a call or check out an online vape shop. If they are unwilling to help you or seem disinterested because you are new, then move on to the next vape shop. A little-known fact in the industry is that the new vaper is the best customer and will generally remain loyal to the vape shop that helps get them started and offers good advice. More experienced vapers are generally more price conscious and tend to shop around more. Generally, you will start with some type of vape starter kit. These will have everything that you need to get started. They usually include the battery, tank, coils, charger and accessories. They might include the e-juice or e-liquid, but usually this is sold separately. E liquid or e juice is the liquid that contains the flavoring and nicotine. You will use this to refill your vape tank, cartridge or pod. Make sure that wherever you buy your first vape starter kit, they have the resources you need to be successful in your journey. Make sure they show you how to use and refill your vape. Do they have printed materials, online resources and videos? Are their hours of operation convenient for you to stop in and ask additional questions? Don't have a vape store near you and don't know where to look online? Well here at Vaporleaf we do have quite a few resources available. 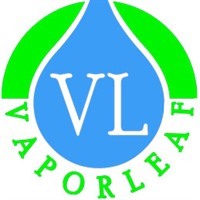 We have videos on our Vaporleaf YouTube channel, how to articles on our website and blog, and of course we welcome phone calls and emails, and we love to provide information and advice to anyone looking for it. For a quick list of some of the best vapes to start with, check out our Top 5 Best Vape Starter Kits 2019 on our blog!